Jack Ma and dignitaries countdown to the launch of the Netpreneur Prize. From left to right: H.E. Amb. Lin Songtian, China Ambassador to S. Africa; Ms Mmamoloko Tryphosa Kubayi-Ngubane, Minister of Science and Technology, South Africa; Jack Ma, Executive Chairman, Alibaba Group; Dr Mukhisa Kituyi, Secretary-General, UNCTAD. Courtesy of Jack Ma Foundation. 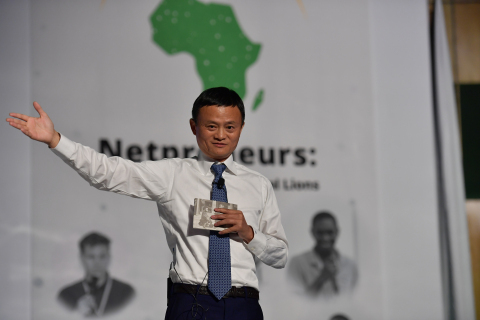 Jack Ma announces the launch the Jack Ma Foundation Netpreneur Prize for Africa. Courtesy of Jack Ma Foundation. 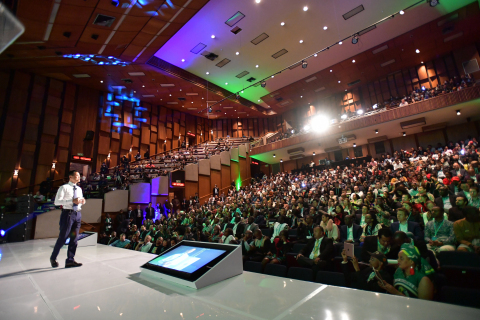 Jack Ma address an audience of 800 entrepreneurs, students, academics, VCs and policy makers at Wits University. Courtesy of Jack Ma Foundation. 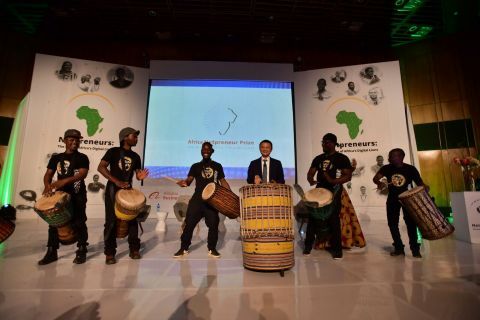 JOHANNESBURG--(BUSINESS WIRE)--Today, Alibaba Group founder and Executive Chairman Jack Ma launched the Jack Ma Foundation ‘Netpreneur’ Prize, a new program created to support and fund African entrepreneurs who are working to address Africa’s most important challenges and further its digital economy through local entrepreneurship. The prize was announced at the “Netpreneurs: The Rise of Africa’s Digital Lions” conference. Jack Ma Foundation (JMF) is a charitable organization founded in 2014 by Jack Ma, Executive Chairman of Alibaba Group. The foundation’s aim is to promote human development in harmony with both society and the environment, while its mission is to work towards a world of bluer skies, cleaner water, healthier communities, and more open thinking. From education to environment, to public health and personnel development in philanthropic sector, the foundation intends to awaken social consciousness and responsibility to cultivate an innovative and sustainable model for a better world. Alibaba Business School is a university established by the Alibaba Group and Hangzhou Normal University of China in October 2008. It is currently focused on implementing Alibaba Group’s e-commerce training system, which has in the past decade nurtured millions of e-commerce practitioners and entrepreneurs, in China and overseas. Alibaba Group Founder Jack Ma to Donate US$10 Million to Establish Africa Entrepreneur Prize.